Beautiful quaint place. 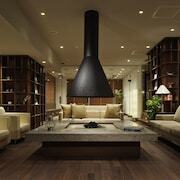 Real Japanese traditional hotel. 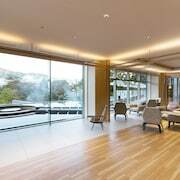 The rooms are beautiful and very spacious. The high tech tub was awesome. The staff were very friendly, and they have Netflix which is great when you've been travelling for weeks and just want a night in! There is no elevator, carrying our luggage up to the third floor was a bit of a pain. 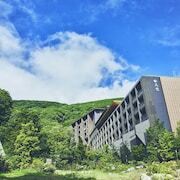 Travelers to Hakone give high marks for the world-class hot springs and lakeside setting. Tourists who journey to this relaxing city can discover its museums, sightseeing tours, and spas. Well known for its museums, the city's cultural venues include Hakone Open Air Museum, Okada Museum of Art, and Hakone Museum of Photography. The hot springs, mountain views, and lakeside highlight the city's natural beauty, and Chisuji Falls, Hakone Gora Park, and Hiryu Falls are worth a visit. Sightseeing is one of the top activities, while Hakone Ropeway, Owaku-dani Valley, and Hakone Stone‐Paved Road are favorite sights to visit. 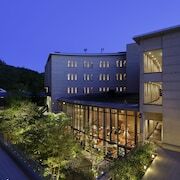 Hakone Hisui - With a stay at this 4-star ryokan, guests can enjoy access to a restaurant and free parking, along with free WiFi. It's a favorite with Expedia travelers for its breakfast and room size. 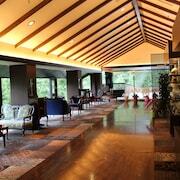 Gora Kadan - Our customers like the breakfast and comfortable rooms at this ryokan. 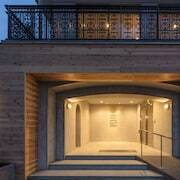 This 4-star ryokan in Gora features a full-service spa, free breakfast, and free WiFi. 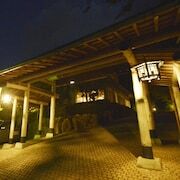 Hakone Gora Byakudan - Amenities at this 4-star ryokan include free train station pick-up and free Internet. Expedia customers like its helpful staff and comfortable rooms. With so many choices for transportation, exploring Hakone is easy. Local metro stations include Kowakidani Station and Kamonomiya Station. If you'd like to explore more of the area, ride aboard a train from Hakone Miyanoshita Station, Hakone Gora Station, or Hakone Ohiradai Station. 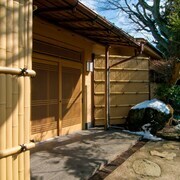 Explore Hakone with Expedia.com.tw’s Travel Guides to find the best flights, cars, vacation packages and more!